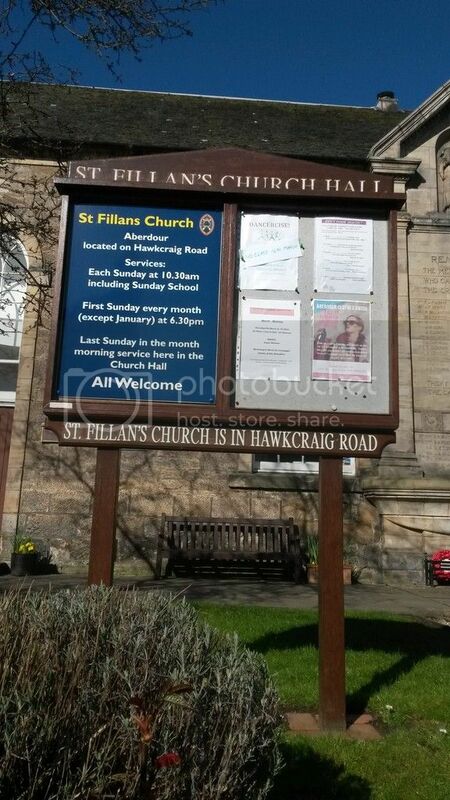 The Scottish War Graves Project :: View topic - Aberdour (St. Fillan) Old Churchyard. Aberdour (St. Fillan) Old Churchyard. 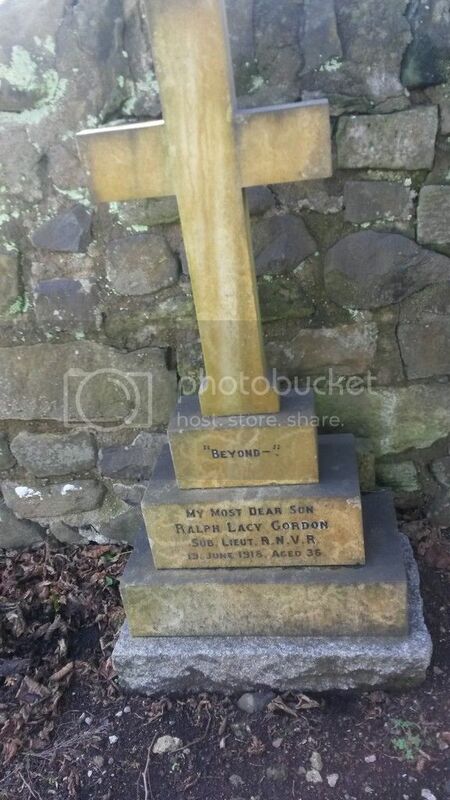 Posted: Fri Mar 10, 2017 9:30 am Post subject: Aberdour (St. Fillan) Old Churchyard. National Grid Reference (NGR): NT 19320 85460. We found 3 family gravestones in the old Cemetery. Panel Reference: Pier and Face 10 B 11 B and 12 B. 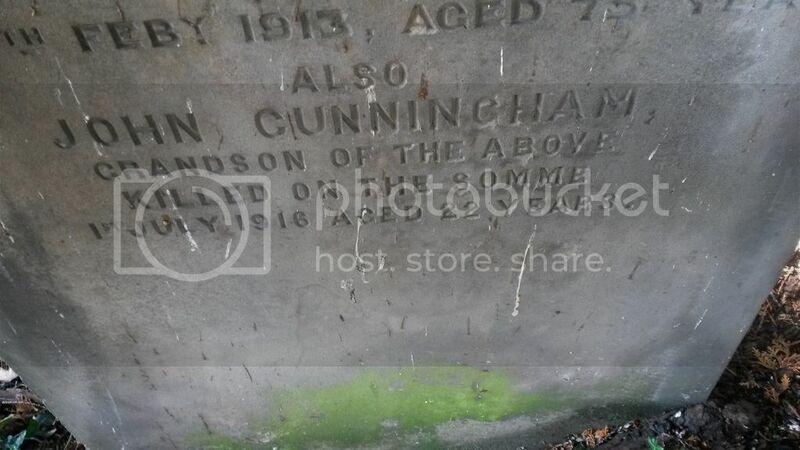 Son of Stephen and Margaret Cunningham, of 1, Second St., Netherton Colliery, Newcastle-on-Tyne. Regiment/Service: Royal Naval Volunteer Reserve H.M.S. "Tarlair." Grave Reference: On West boundary, near Church. Additional Information: Born at East Sheen, Surrey. Son of Henry George and Mary Margaretta Gordon, of 17, Gainsborough Mansions, West Kensington, London. Regiment/Service: Royal Navy H.M.S. "Invincible." Memorial: CHATHAM NAVAL MEMORIAL, Kent, England. 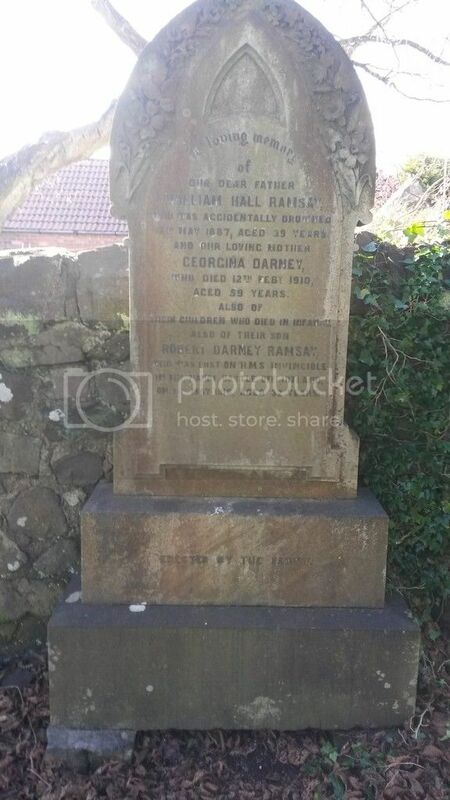 Son of William Hall Ramsay and Georgina Ramsay, of Aberdour, Edinburgh. 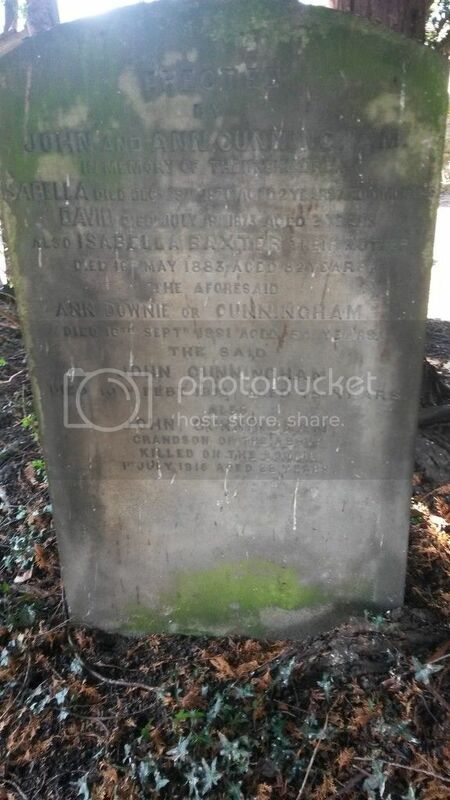 Husband of Grace Cochrane Ramsay, of 67, Erroll Rd., Hove, Brighton. Served on H.M.S. "Inflexible" at the Battle of Falkland Islands and at the Dardanelles. 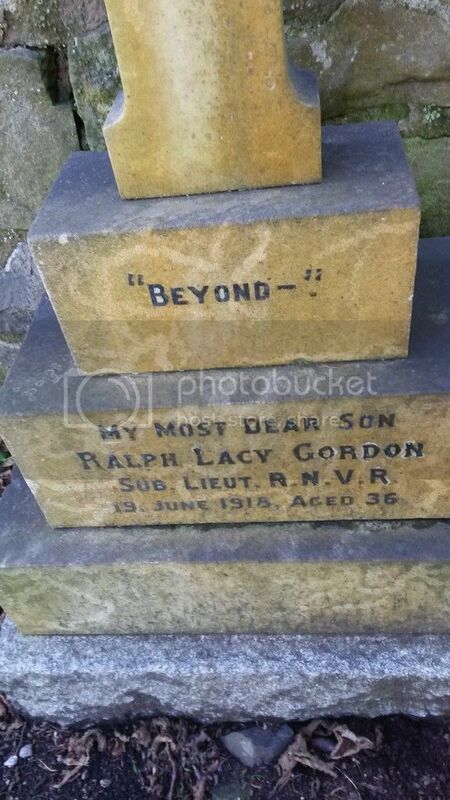 Sub-Lieutenant Ralph Lacy Gordon, RNVR. 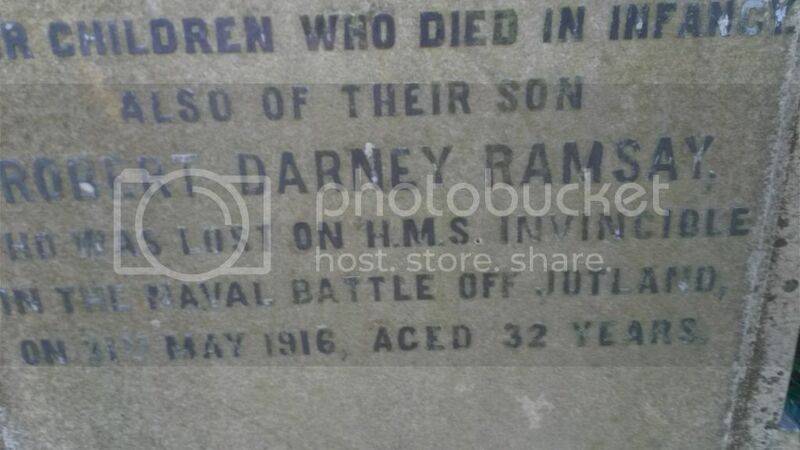 Thank for posting this Morag, you've added to my list of "well I never knew that"
I'd never heard of HMS Tarlair, the experimental establishment at Hawkcraig Point, Aberdour. Glad to be of service, Ken. A little "thank you" perhaps for all you do for me.